Tried to really really think as to why I like Bollywood or 'Hindi Cinema'. Have shortlisted a few. -Come on, if I only wanted reality I would step out of my home and go round the city, why would I go into a theatre. -Movie after movie (except the Ram Gopal Varma ones) you get a lesson in dancing every 20 minutes at least. 3. Women are always beautiful. -Thanks to Hindi cinema you start believing that all women are beautiful with great bodies and great fitting clothes. You start believing that all of them are out looking for love and only true love, with bank balance, job, car, house not making an iota of difference. 4. You can marry a queen. -You could be a hoodlum where the richest young lady of town stays or you could be a dishwasher in the posh restaurant owned by the richest young lady's dad, but if you have excellent looks, well toned muscled body and can sing well, you can still marry her and live happily ever after. Of course you might still have a few fist fights or two after which her Dad has a change of heart. -while shooting the henchmen but when you have to put a bullet into the main baddy, the last bullet will be lying at the feet of the heroine, who will have to kick it to you while ensuring her dress does not rise above permissible levels. -Where you don't have to worry about taxes, business meeting, business delivery, paying phone bills, electricity bill etc etc. -Thanks to RGV, you get to watch some different cinema once in while . Whether it is a great movie or it is crap, there's always something different about what Ram Gopal Varma makes. -You have excellent film critics who come on TV before the movie and give detailed angles, underlying meanings that the director never thought of and will tell you what you will like. Once the movie releases they are nowhere around except if the movie does well, then they tell you why it is doing well, as if you didn't know why ? It is a good movie so it did well. And then the critics who tell you a movie is doing well even though it is crap, maybe they wouldn't get free tickets the next time if they admit to the truth. Then you have bloggers like me, who think Hollywood cinema is usually more rational, professional and sensible, because we don't get to see the crap they churn out. -and others, the STARS who make sure movies are made and recognized so that actual actors like Om Puri, Naseeruddin Shah, Irfan Khan, Kay Kay Menon etc (and the list goes on), get to act. The very eagerly awaited movie which hit the screens in Bangalore last Friday and I definitely wanted to watch it before most of the city did. I am an avid fan of the Sin City movie which, like 300, is based on the graphic novels by Frank Miller. 300 is a fictionalized version of the Battle of Thermopylae in 480 BC. There have been a lot of versions of this with another movie called 300 Spartans also made some time ago. I am absolutely in awe and fascinated by the comic book style of picturization that's been done in Sin City and now in 300. The movie is the tale of King Leonidas (Gerard Butler, remember Lara Croft, the movie ?) and his 300 Spartans who fight against the million strong Persian army of the invader Xerxes (Rodrigo Santoro) without the approval and support of the Spartan Council. The movie is visually stunning and definitely needs to be watched for that alone. The colours, the use of light and darkness, the shots are all absolutely eye candy. Story ? Well, simple enough story like I mentioned, the King Leonidas, against the directions of the Oracle and without the support of the council believes he must fight Xerxes even if it is with only 300 men by his side. Lots of attention is paid to the battle itself and that could only be the reason you have an empty feeling when you are done with the movie. The only other track in the movie is the Queen Gorgo (Lena Heady) trying to convince the council in Sparta to support the 300 Spartans by sending out the army. The actions scenes are Gladiator-meets-Matrix-meets-Sin City with a lot of gore, in matrix style bullet time action and a comic book look. Brilliant visuals like I keep mentioning especially the bleak landscapes, the battle scenes. A lot of blue screen shooting, a lot of detailing, a lot of hard work from the cast to develop those warrior like sculpted bodies goes to show all the effort that has gone into the movie, for which it is definitely worth a watch. The soundtracks are really nice and if in an action movie you actually notice the soundtrack then you can imagine how good the tracks by Tyler Bates are. No wonder the movie has made quite some money worldwide. Like the tag line says- Prepare for Glory! Caught this on on DVD, thanks to my online movie rental service from seventymm (in Bangalore, Mumbai and Delhi). The movie is a satirical comedy on the 'business' of smoking. The movie does not make the mistake of trying to delve into the larger picture about the morality of smoking and all of that. Instead the movie takes you along with Nick Naylor (Aaron Eckhart) the king of spin, employed by the Tobacco Industry's conglomeration to do what he does best, spin stories, be the spokesperson. The movie has some hilarious instances such as the 'Merchants of Death' meeting (Mario Bello, David Koechner spokespersons for the Alcohol and Firearms industry respectively), the smart way in which he convinces the Marlboro Man to clam about his cancer, his sexual fling with the reporter (Katie Holmes in her pre-Tom Cruise days) his Merchants of Death pals have warned about. 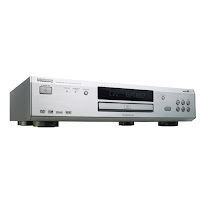 The DVD is a good weekend watch, light and not preaching too much, but enjoyable. Watched the really cool trailer of what is bound to be a really cool movie- Ocean's Thirteen. Got to watch the trailer twice today since both the Dreamgirls and Apocalypto screens at my multiplex ran them. Having really liked Ocean's Eleven and gotten a little disappointed with Ocean's Twelve, I have great hopes on Ocean's Thirteen. Couple of reason- It's an Ocean movie. It is once again directed by Steven Soderbergh. It has the same cast led by George Clooney, Brad Pitt, Matt Damon, Andy Garcia and others. It is bound to be another cool caper and the best for the last...IT HAS AL PACINO IN IT !!!! Watch the really cool trailer below ! Did the movie leave me speechless ? Well... considering that I have a favourable view towards any of Ram Gopal Varma's films, I wouldn't be the right person to answer that question. But yes, speechless I was. Speechless because I was wondering how Ramu would helm a relationship based drama, Speechless because of the territory explored (and I mean the relationships), Speechless because I expected a hard hitting ending and was let down, Speechless because Ramu could have done better ! The movie, as the promos say (some love stories are never to be understood) is the story of a relationship between a 60 year old man (Amitabh obviously) and 18 year young Jia (Jiah Khan introduced). In the circle of impact are Revthay as the dutiful wife, Shradha Arya as the daughter (whose friend is Jia), Nasir as the friend and brother-in-law. Ramu being the smart director does a purposeful exposure of Jia's long legs with a multitude of below the waist shots in the first half which is the period of seduction and completely avoids it in the second half when the relationship has been established. What's interesting, is that during the entire movie other than Amitabh, Revathy, Jia, Shradha, Nasir, a cameo by Aftab (is he back in the RGV camp now ?) and a shopkeeper there are no other speaking characters ! Amazing huh ? Another fact- Throughout the first half of the movie, Jiah Khan has her legs splayed all over the place and never once does she sit lady like with legs crossed. That piece of characterisation is a bit overboard I thought. Come on, are 18 year olds just oozing sexulaity (commonly misplaced for sensuality) all over ? The movie is slow paced which might turn a few people off and it might seem silly to some. My presumption- Ramu wanted to explore the unexplored and almost succeeds. He possibly wanted the audience to gradually be seduced by the young and nubile Jia just as the character Vijay (Amitabh)is. Is the movie different ? yes, it is. Amitabh does a great job. I especially loved the scene whee he breaks into laughter in the middle of the night perplexing his wife.The others do well too. Jiah Khan will sure be talked about till her next performance. And will I watch this movie again ? Hmmmm.... maybe after a couple of months, just to study Ramu's style. To be fair, yes some relationships are never meant to be understood and the relationship that the audience will have with this movie will never be understood ! The movie trailers of this Hindi movie were very impressive. Vidhu Vinod Chopra returns to direction after a 5-7 year hiatus. Vidhu Vinod Chopra had a vision. A Vision of desolate desert dunes, a palace past its days of glory, with its walls hiding many a secret. The loyal guard, a senile and insecure king, the foreign educated prince, the local damsel, scheming relatives. All this should have come together as a quasi-period thriller. With a cast of Amitabh, Saif Ali Khan, Boman irani, Sanjay Dutt, Vidhya Balan,Parikshit Sahani, Jackie Shroff, Jimmy Shergill, Riya Sen and Sharmila Tagore in a small appearance, the movie is bound to be challenging and meant to be a masterpiece. I watched the movie with a lot of expectations. 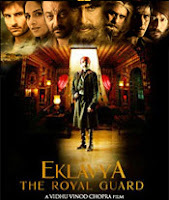 The movie begins with the death of the queen (not quite natural),an insecure and impotent king (Boman Irani), his scheming brother (Jackie Shroff) a loyal but ageing royal guard Ekalvya (Amitabh), the returning prince (Saif Ali Khan), a secret revealed, a conspiracy hatched and a bit of romance triggered. All this is supposed to lead to a powerful climax where Ekalvya (Amitabh) has to make a choice. Does he cut of his thumb(figuratively speaking) or does he resist the call of duty to follow his heart? The movie is therefore supposed to build up to this single dilemma. Sadly, the movie is utterly disappointing. Having grown up reading the Mahabharata and having a name like I do, I do have a soft corner for mythological tales and just love any classy depiction of them. This movie thoroughly let me down. Great performances by Amitabh, Sanjay Dutt and nice music by Shanthanu Moitra fail to raise this movie above just a masterpiece vision. The cinematography is brilliant. What pulls this movie down from going above the vision of Chopra is the weak storyline and dish wash screenplay. The screenplay is absolutely lifeless and makes 'traditional' thriller look a like a lazy cameraman following actors running helter-skelter. What could have been Chopra's masterpiece fails due to excessive attention paid to look and feel rather than the substance. Watch this movie if you must for the cinematography, the music of Shanthanu Moitra, powerhouse performances by Amitabh and Sanjay Dutt (short but sweet).